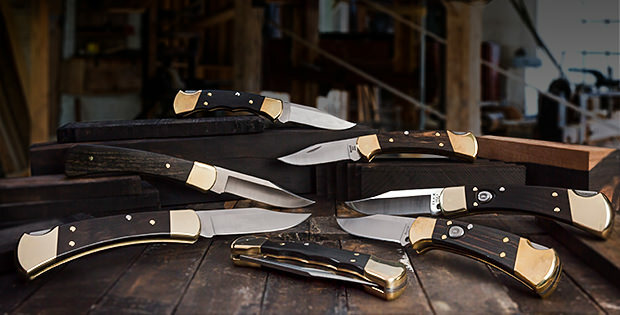 Buck Knives, leader in sports cutlery, is excited to partner with Taylor Guitars, one of the world’s leading manufacturers of premium acoustic guitars, and take part in their efforts using a sustainable supply model for genuine Ebony handles on its key heritage products. 1990’s, federal regulations on endangered woods led Buck to utilize resin treated woods. Harvested under Taylor’s thriving conservation project, Buck will again employ the use of ebony, a natural material with beautiful grain patterns that provides customers with a nearly indestructible knife handle.